Custom Lead Products & Fabrication | Sullivan Metals Inc.
We Have Your Lead Needs Covered! 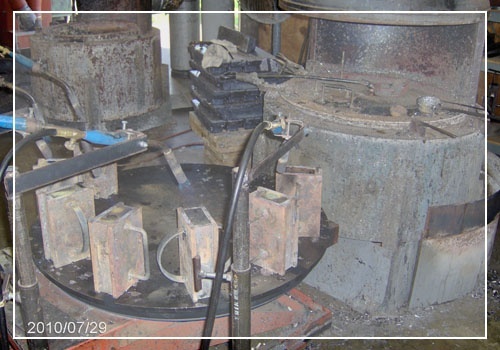 Sullivan Metals Inc. is an established lead products manufacturer based in Holly Springs, MS. Backed by the skills, knowledge, and state-of-the-art casting and fabrication equipment, we produce a complete line of specialty lead products for different applications. Partner with us today, and allow us to help you select the right grade of lead alloys to use for your next project. Having been the go-to lead products manufacturer in the area for more than 3 decades, our team is confident in taking care of all your lead production concerns. We combine innovative techniques and good ol’ workmanship in a fully equipped lead casting and lead fabrication facility to bring you the products you need. Rest assured that with us, you are given premier products and services every time. Get Specialty Lead Products Here! At Sullivan Metals Inc., we take great pride in the custom lead products we manufacture. We utilize high standards in our casting and fabrication processes to guarantee the production of premier and precise parts. The next time you require lead gaskets, wedges, rings, and other products, come to us. Contact us today to discuss your project with our team.